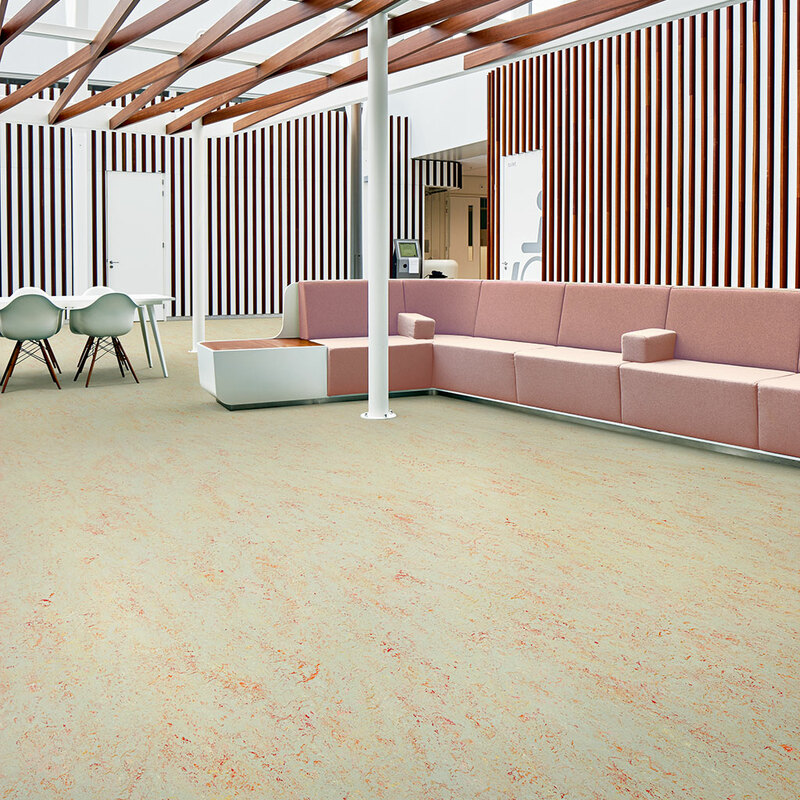 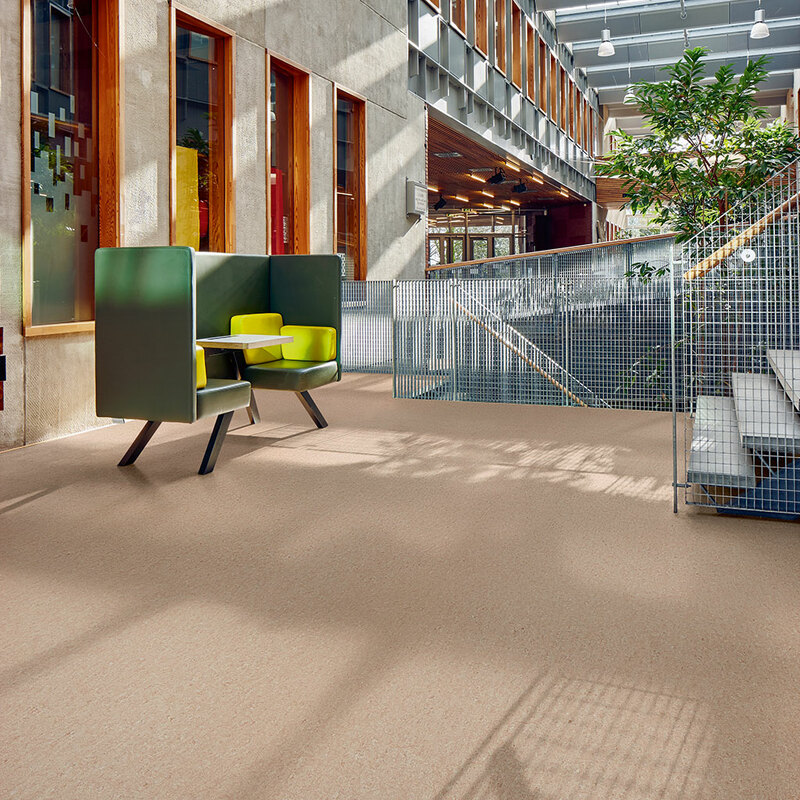 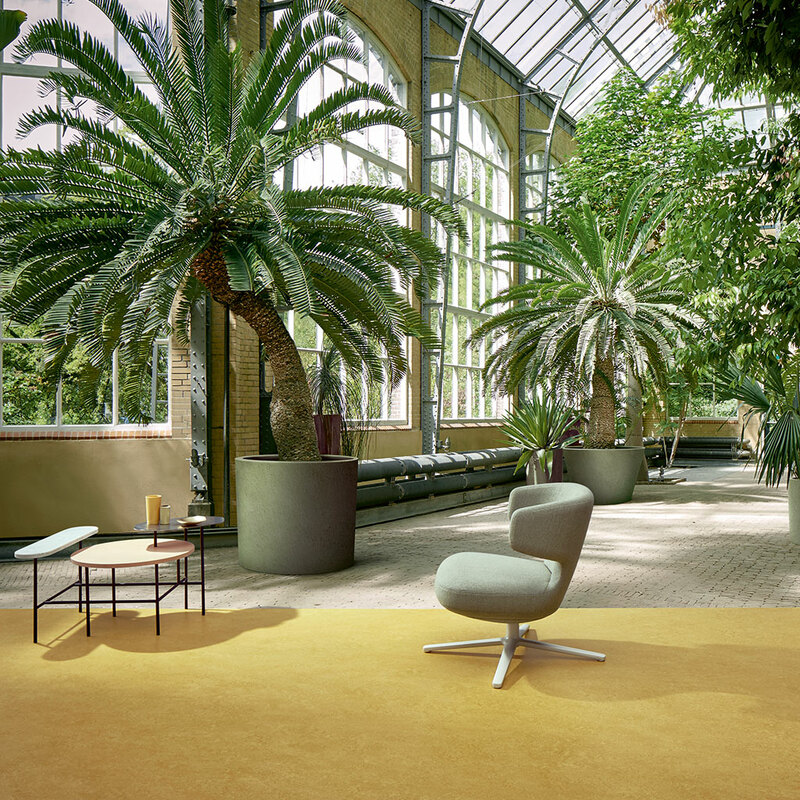 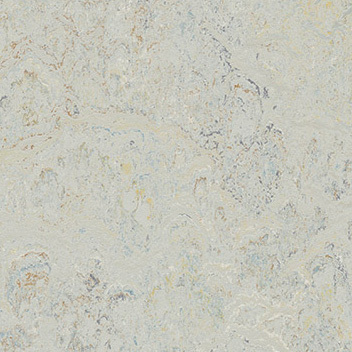 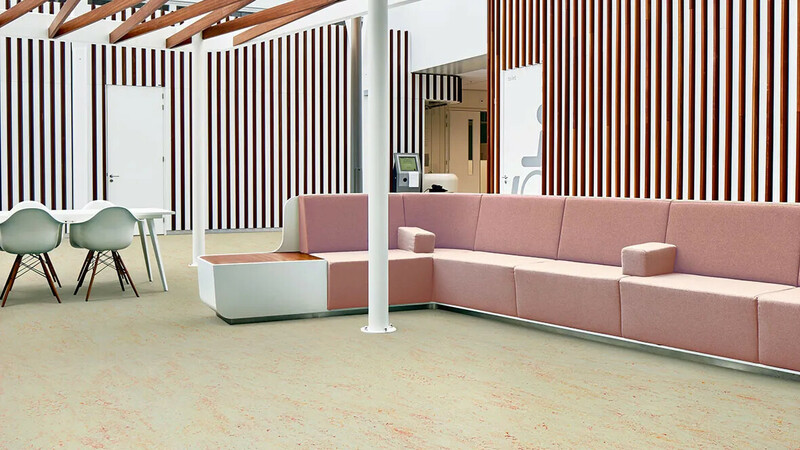 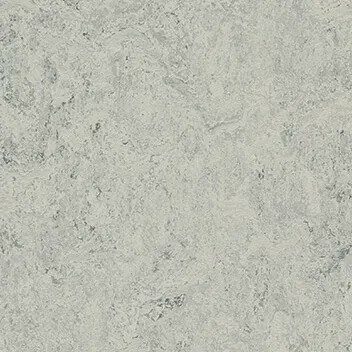 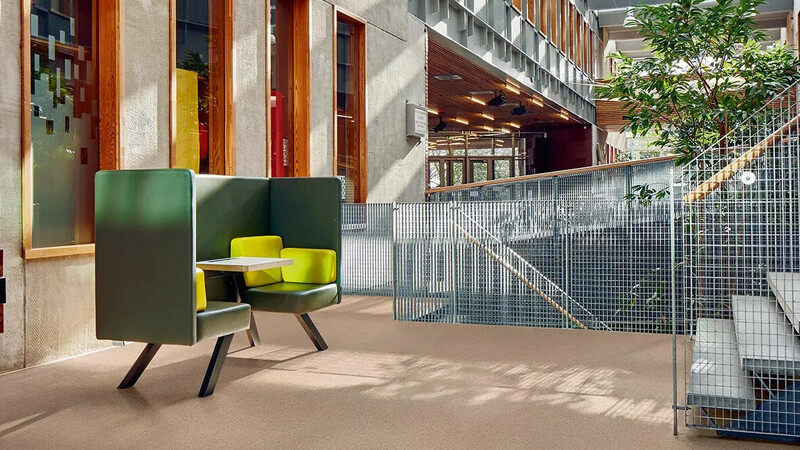 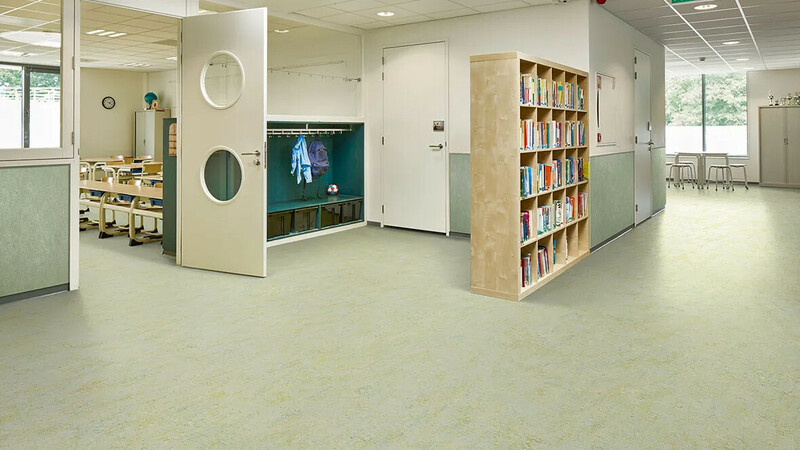 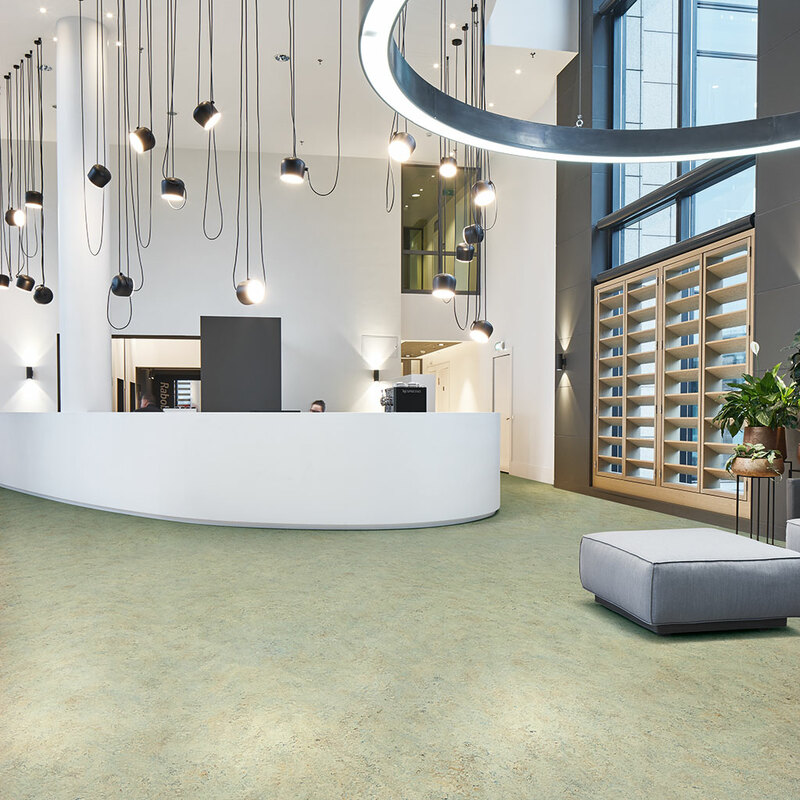 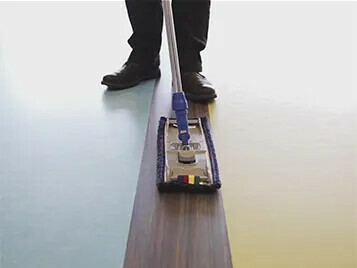 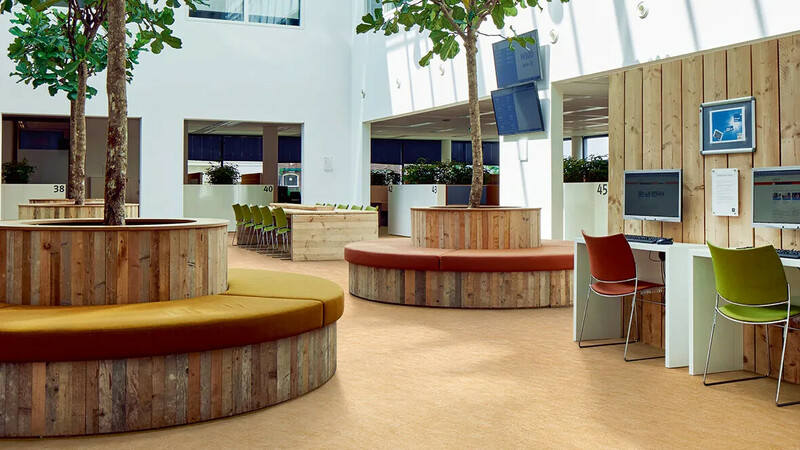 Marmoleum Marbled is offered as conductive flooring (Marmoleum Ohmex) and acoustic flooring ( Marmoleum Decibel, Marmoleum Acoustic, offering 18db and 14dB sound reduction. 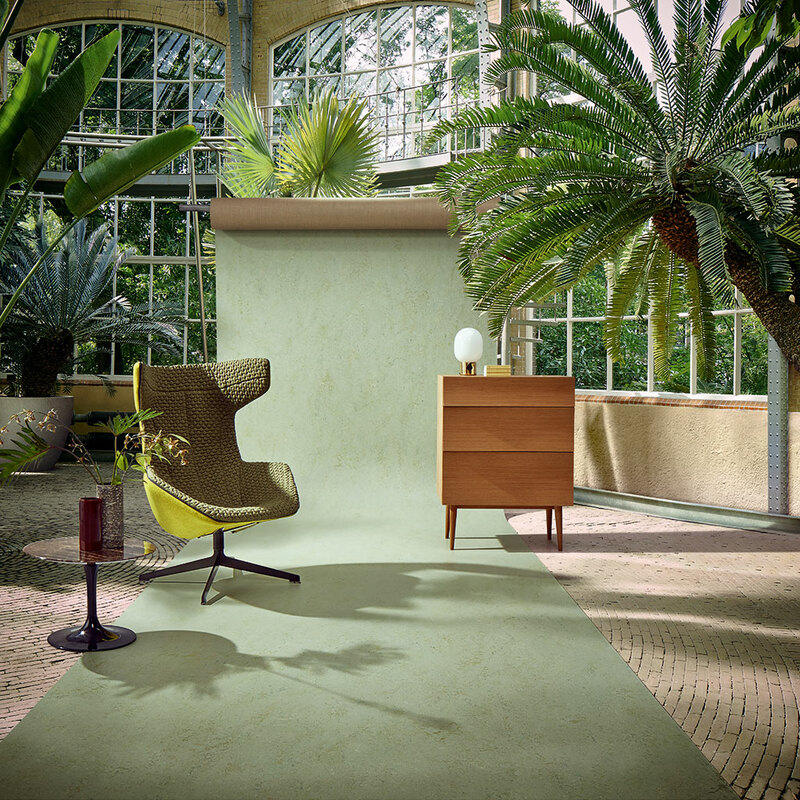 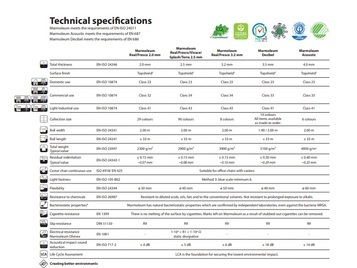 Marmoleum FR is also classified as a D-s2, d0 wallcovering in accordance with EN 15102. 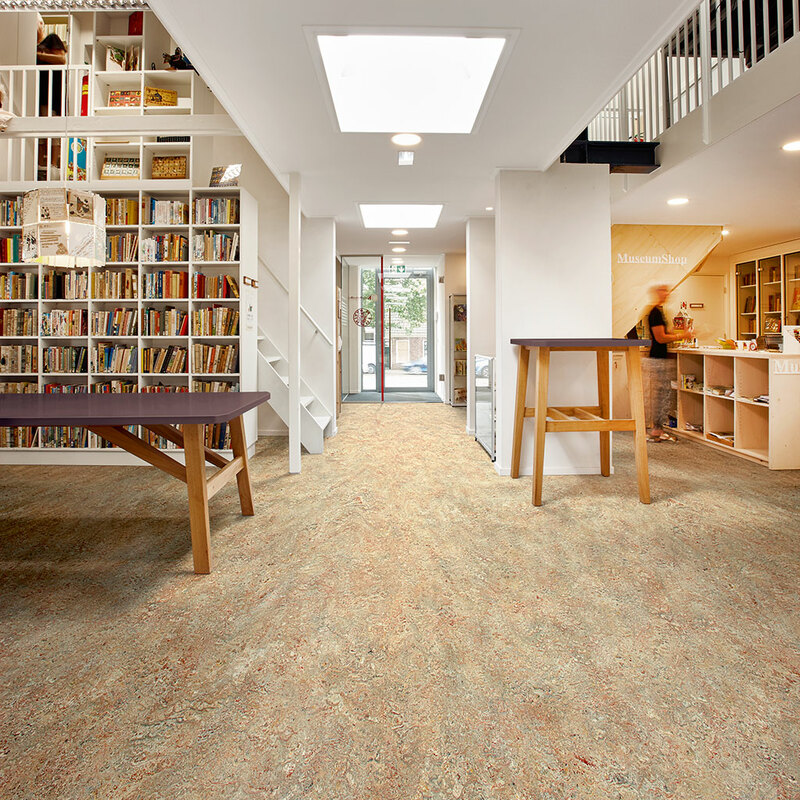 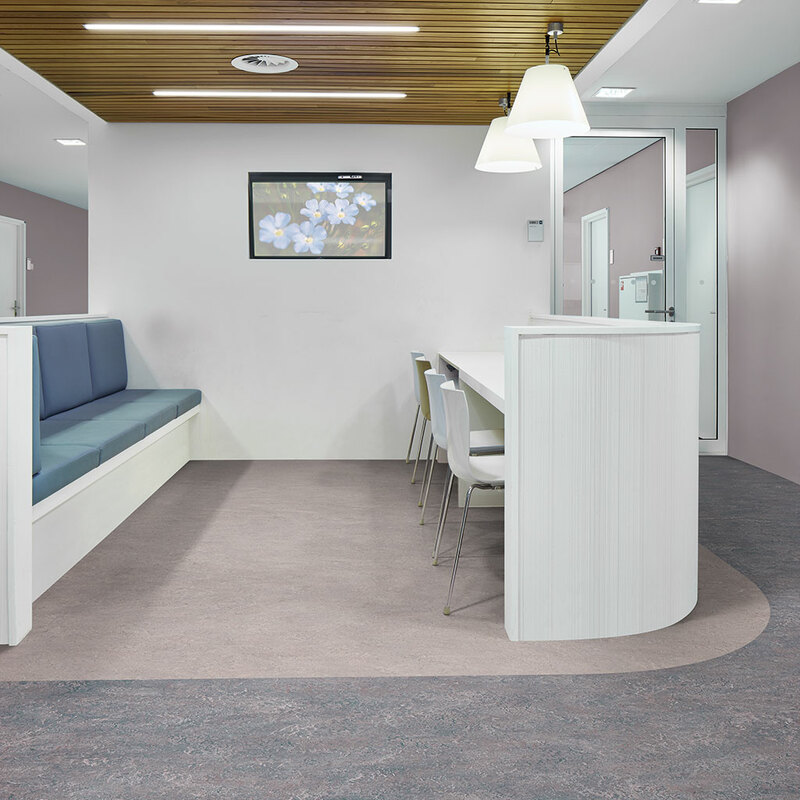 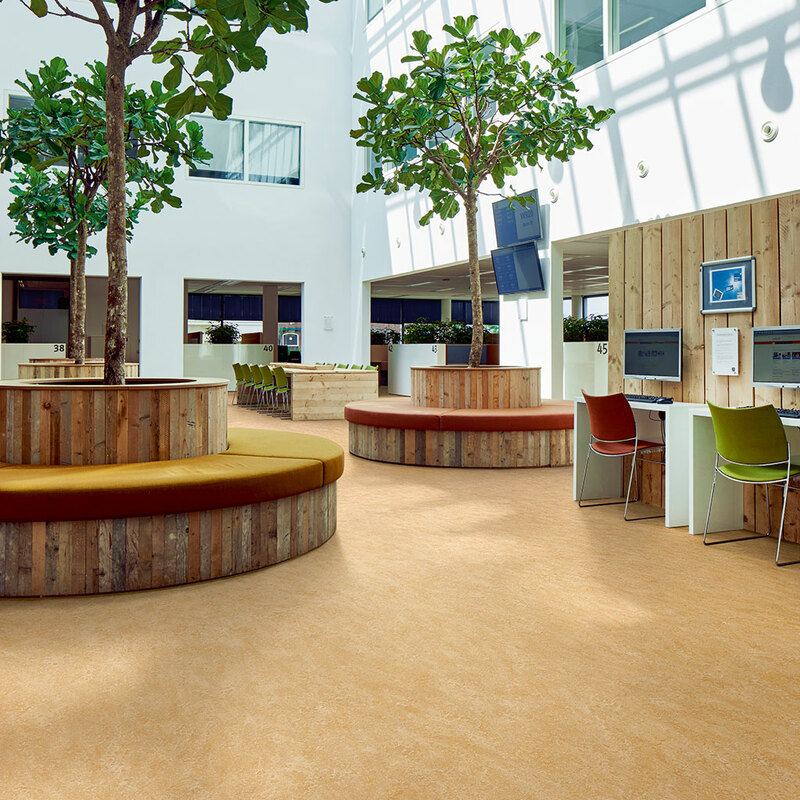 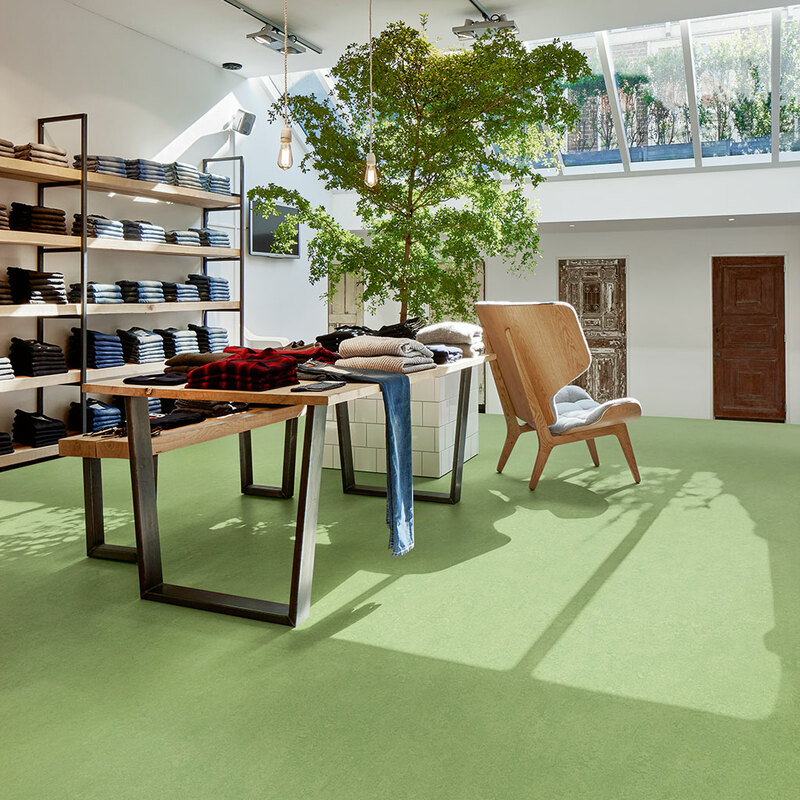 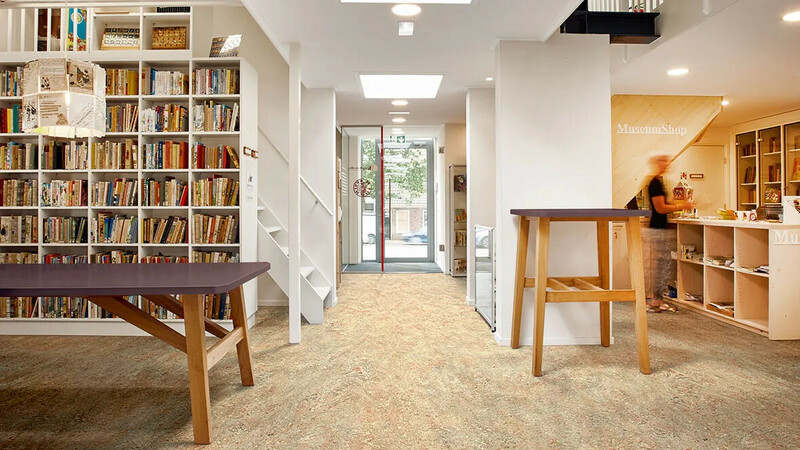 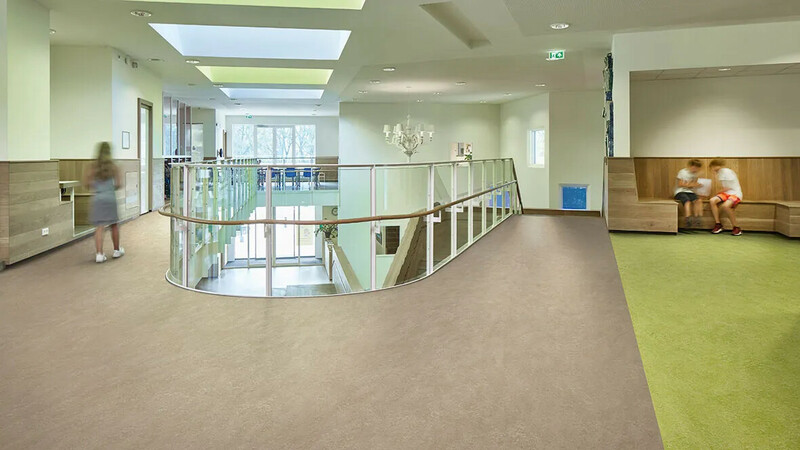 Marmoleum FR is available on request and minimum order quantities and lead times apply. 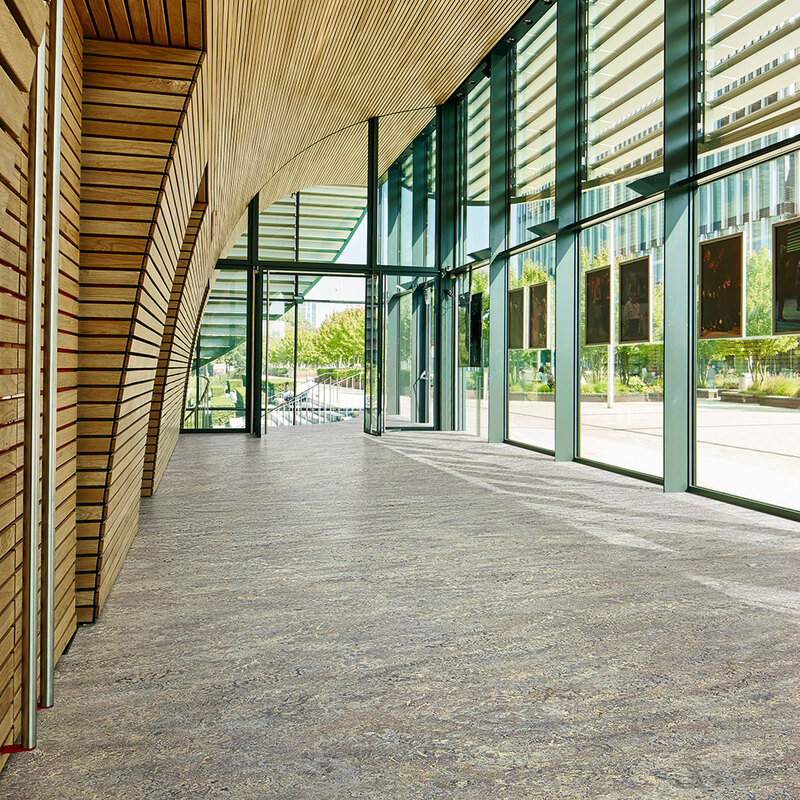 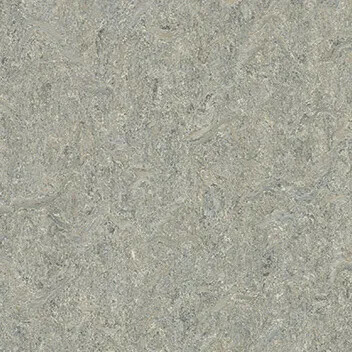 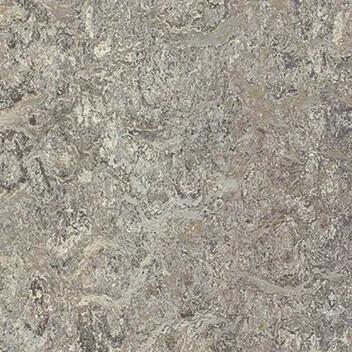 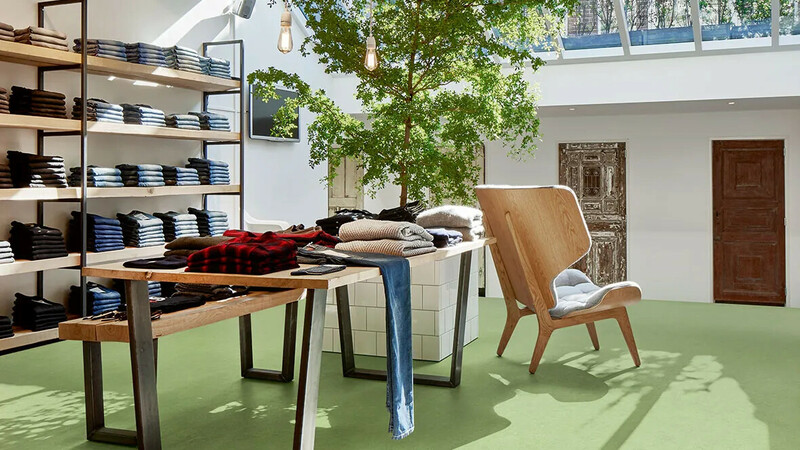 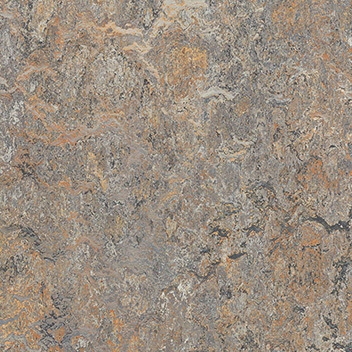 The beauty of a C02 neutral floor covering. 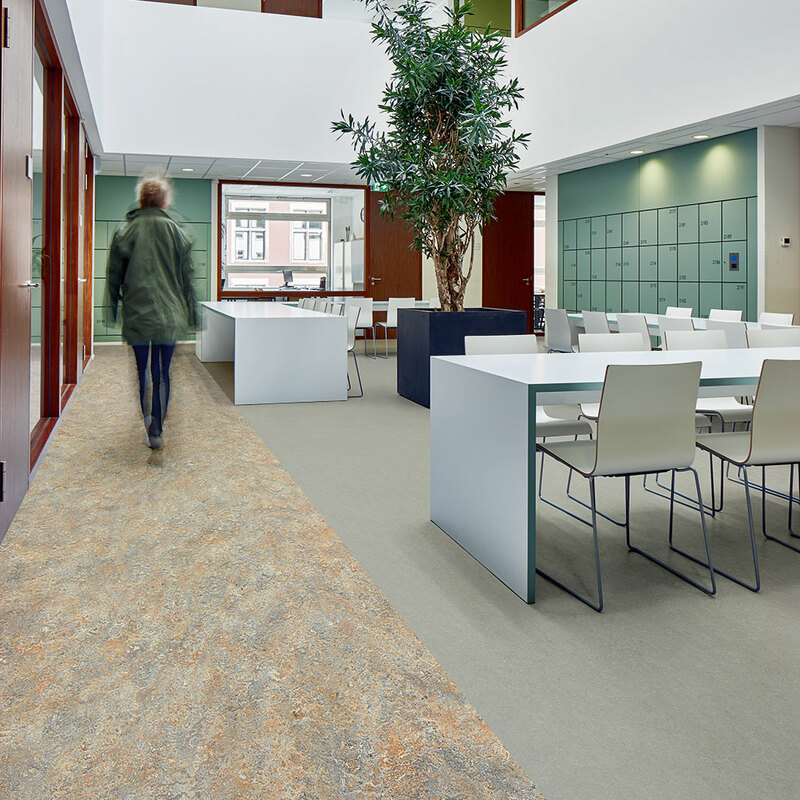 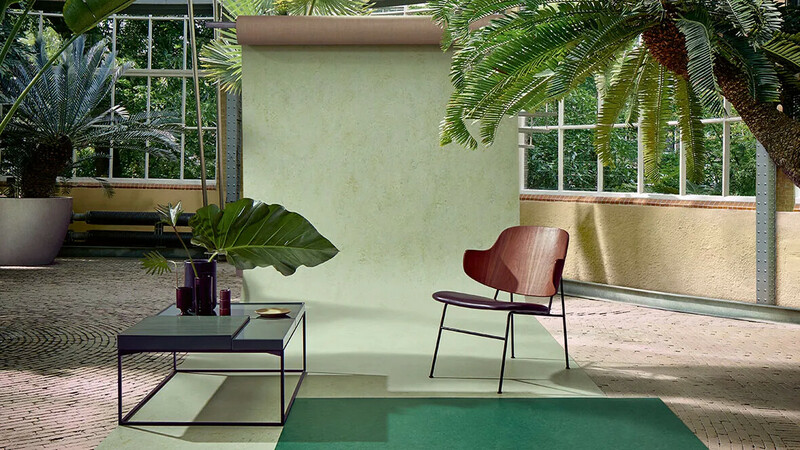 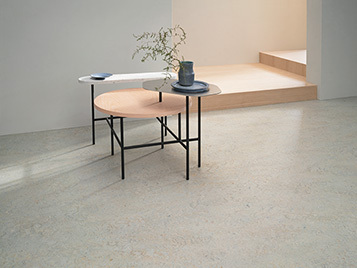 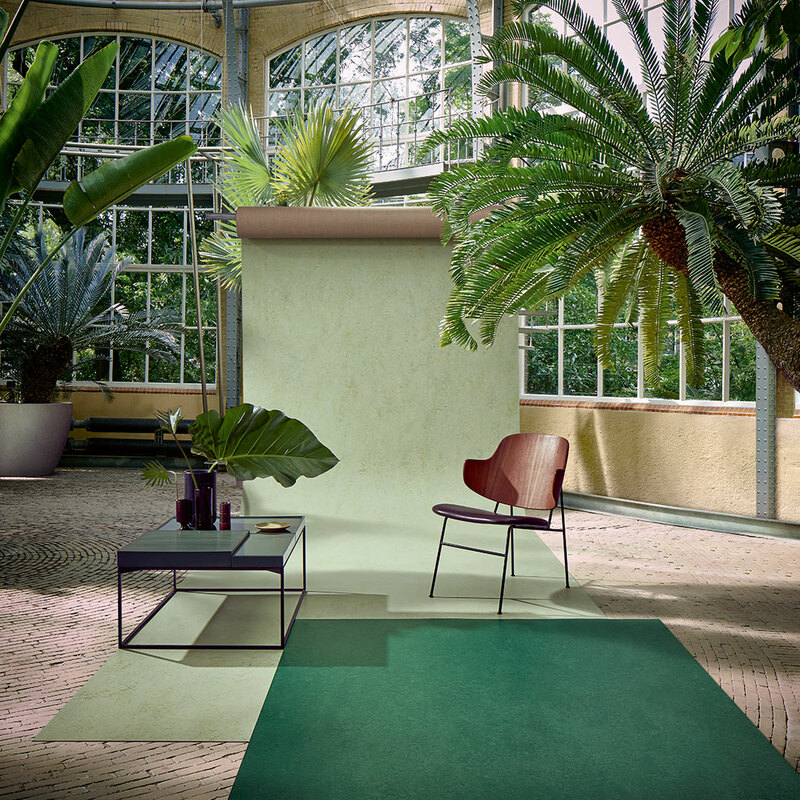 Watch the Marmoleum Marbled video where our senior designer Tamar Gaylord and product manager Bregje Smulders explain about the designs and the sustainable properties of the collection. 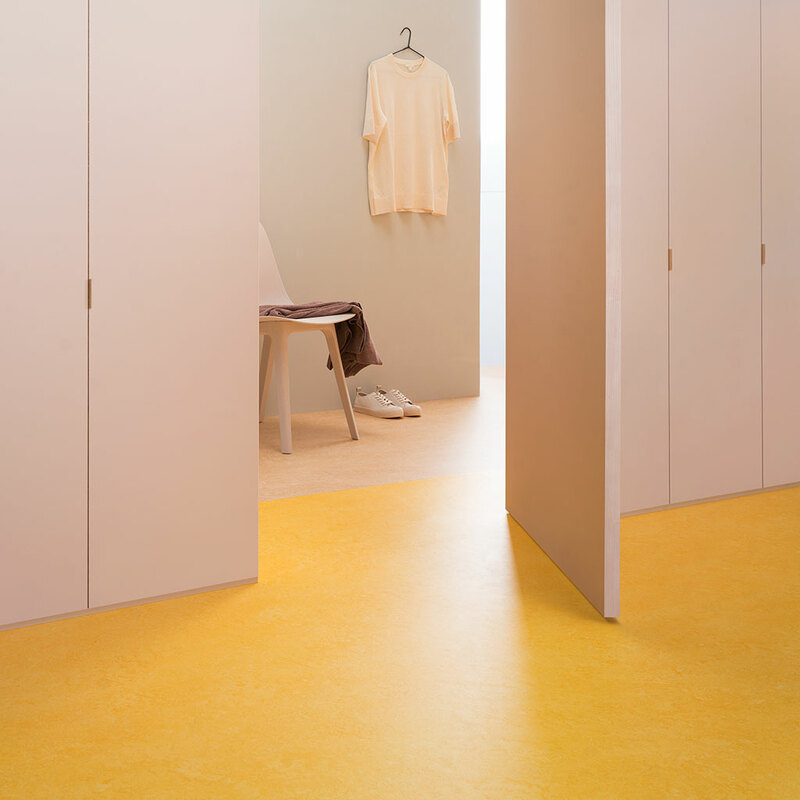 Marmoleum Splash; the perfect floor to make a subtle statement. 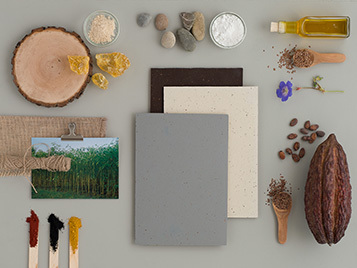 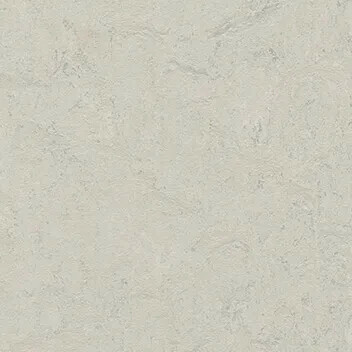 Marmoleum Terra; the durability challenge.